On Friday 15th September St Aidan’s pupils and staff came together in our school hall to show their support for the Mayo team in the All-Ireland Final on Sunday. Everybody wore the Mayo colours as they sang and cheered on our county team. 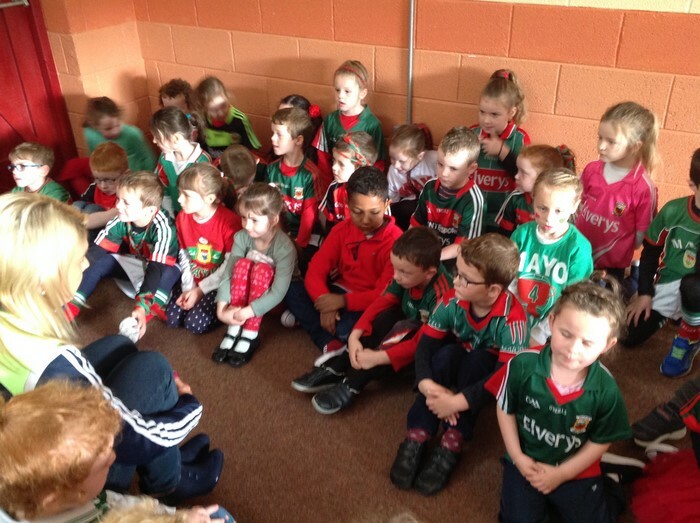 Click here to hear Ms Lee and Senior Infants singing ‘The Red and Green of Mayo’! 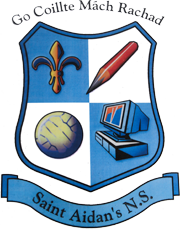 Best of luck to the Mayo team in the All Ireland Final on Sunday from all at St. Aidans!